Nursing is a thriving field at the moment. But it’s not all about the job numbers. If you have the education and experience necessary to work as a nurse, you could also consider running your own business. There are plenty of entrepreneurial opportunities where you could use the same skills and knowledge. Here are 25 of the top business opportunities for nurses. 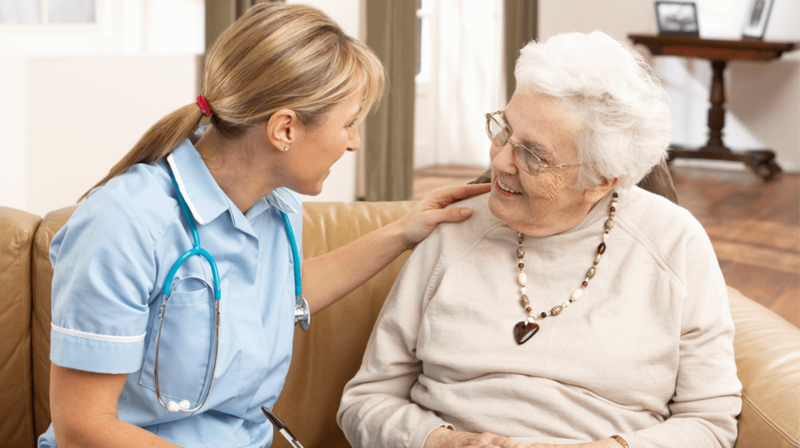 Home healthcare is a thriving industry. You simply visit patients in their homes to provide care, rather than working out of a hospital or doctor’s office. You would likely have a number of clients that you visit on a regular basis. A slightly more in-depth service, working as a private nurse may require you to have fewer clients that you spend more time caring for. You may even work on a contractual basis with just one at a time. A more specialized form of home care, working for seniors may require you to handle some basic errands and chores as well as tending to their medical needs. Hospice care is normally about helping to improve comfort for a terminal patient. You may work with the family to ensure that their loved one can spend their last days at home and relatively pain-free. As a respite care provider, you would offer short-term services that give family caregivers a chance to rest and recharge, while still feeling confident that their loved one is in capable hands. Many parents feel more confident leaving their children in the care of someone with proper medical training. So as a nurse, you could open your own child care center or simply offer in-home child care. Doulas provide guidance and support for mothers through the pregnancy and childbirth process. You don’t always need official nurse training, but it would certainly help to prepare you. For a less intensive approach, you could also offer classes or training programs designed to help expecting parents prepare for childbirth. Some new mothers could also use the assistance of a lactation consultant to help with the breastfeeding process. For those who are hoping to become parents, you could provide consulting and guidance aimed at helping them overcome certain fertility issues. A concierge nurse is often a private medical service aimed at affluent patients who prefer to pay out of pocket for in-home visits or for personalized care through their particular treatment process. You might also offer consulting services for patients that would like an independent medical professional to help them review treatment options, navigate insurance issues or make other important decisions. Telehealth is an emerging trend in the healthcare field. Basically, you would provide consultations and appointments via phone or video chat rather than meeting with patients in person. As a nurse, you should have a fair amount of knowledge about nutrition and diet issues. So you could use that to help individuals craft weight loss or health plans. Or you could offer a more general service that includes dieting, meal plans, fitness, and general wellness items. Instead of working with individual patients, you might share your expertise on a wider scale by writing a health related blog. Another way to share information to a lot of potential customers, write and self-publish an ebook related to health and wellness. You could also offer to share your expertise by speaking at public events for other nurses, medical professionals or those simply interested in improving their health. You certainly don’t need a nursing degree to start a massage therapy business. But your experience likely helps you understand the various parts of the body that may need assistance. Holistic care and alternative medicine are gaining popularity among a lot of patients. So you could offer your expertise to people in those areas. Mindfulness in particular is an important concept at the moment. This may be relevant to those who have studied mental health in-depth. Supplements are designed to increase vitamin or nutrient intake. You could use your medical expertise to create a service designed to help people determine what supplements they need and then provide them with those specific products. As a nurse, you’re well equipped to determine what types of products might be missing from the medical supply market. If you notice a gap or insufficient quality in one area, develop a product to fill that need. You might also consider using your experience to create supplementary products like scrubs or nursing bags. You’re also well qualified to understand the needs of nurses and medical companies. Use that knowledge to connect workers with job opportunities.